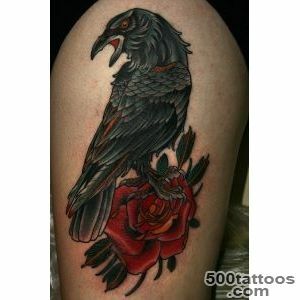 Raven - a sinister bird, according to legend, she lives up to 300 years because it feeds on carrion. 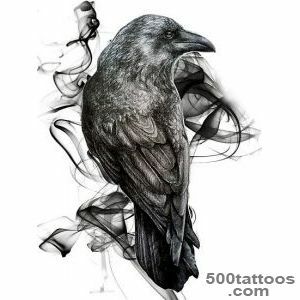 A person who has a tattoo of a raven, meet some wary, because this bird is always personified with the bad news and is perceived as an exile. 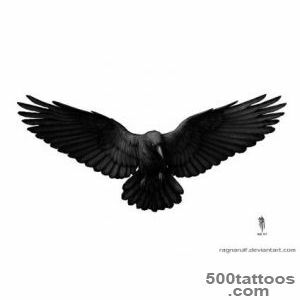 For the ancient Celts black raven was a symbol of death,they have always used this ominous bird in their satanic rites and magical cults, it was always there with the goddess Morrigan and battles with the gods of war and death. 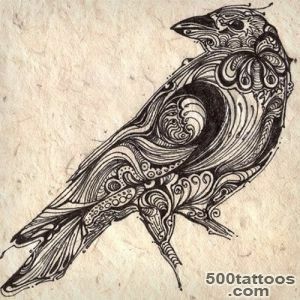 The ancient Egyptians believed that a raven brought necessarily for an anger, aggression and destruction. 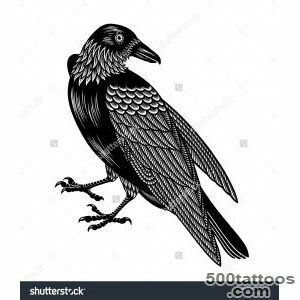 In the Christian religion, black raven is the assistant of the devil and evil messenger.But there are conflicting opinions in which he helps hermits. 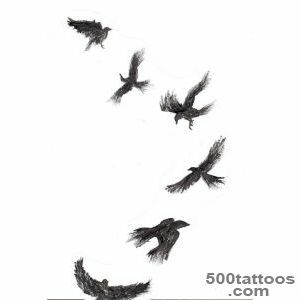 The Bible tells us, like a flock of crows saved from starvation of the prophet Elijah, who for a long time wandering in the desert. 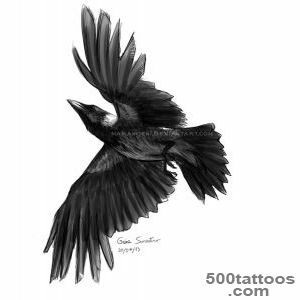 Even in the Russian fairy tales, this bird is always associated with black magic, she is accompanied by witches, wizards and evil magicians. 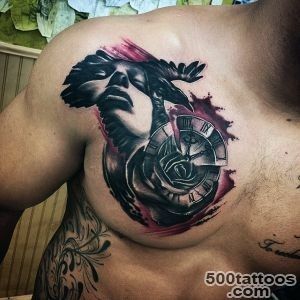 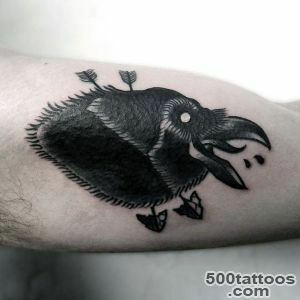 But not always, tattoo ravena grim significance. 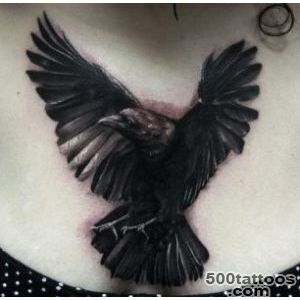 In ancient Rome, this bird symbolized a hope, as the cry of a crow resembles the Latin " ink ", which translated means "tomorrow". 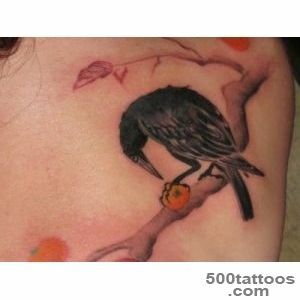 For the Chinese, the crows - this power, determination and steadfastness. 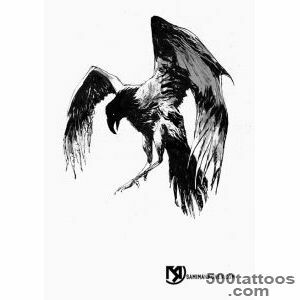 They have a legend that the sacred raven lives in the sun and moves a heavenly body, thanks to him,there is sunrise, noon and sunset. 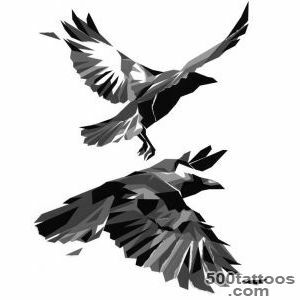 At the African people it is believed that the crow is the surest guide of man, and if you kill the bird, it is bound to be bad weather. 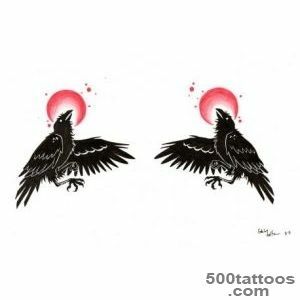 Canadian Inuit and the ancient Indians, in general, worshiped the raven, considering its primogenitor and greatest shaman. 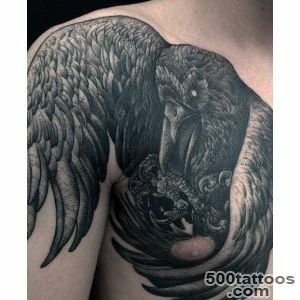 Today, there is a perception that the raven symbolizes wisdom,secret knowledge and loneliness. 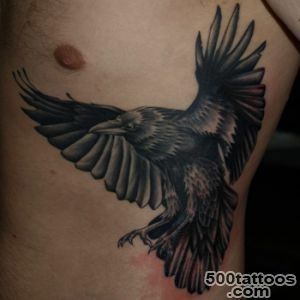 Most often tattooed with the image of a raven cause people who have suffered the pain of loss. 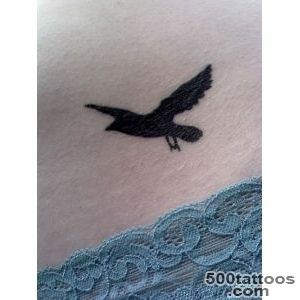 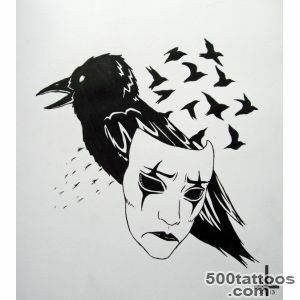 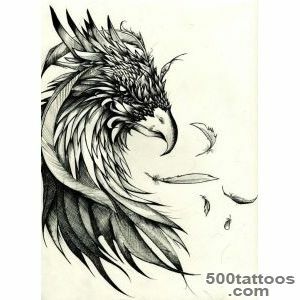 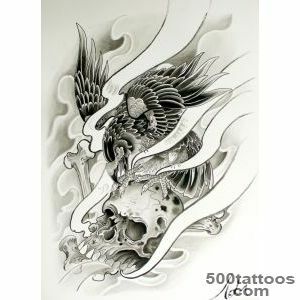 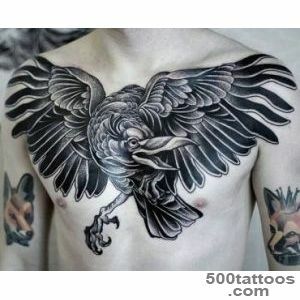 Meaning tattoo with this bird is quite controversial, so it is only a man knows who is this figure. 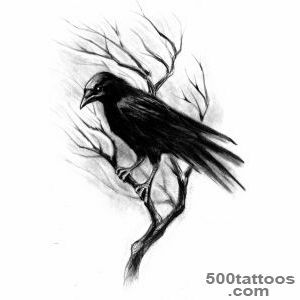 Image of crow sitting on a branch, represents the loneliness. 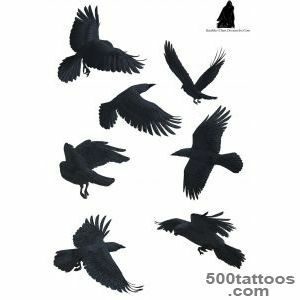 Two raven - a symbol of a bloody war.A flock of ravens flying - aggression, attack and bustle. 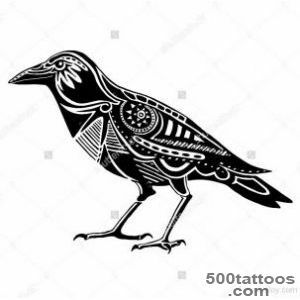 Black crows with white feather - a good sign, indicating the message of something light in a dark world. 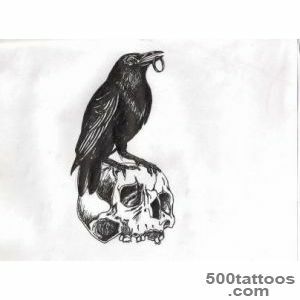 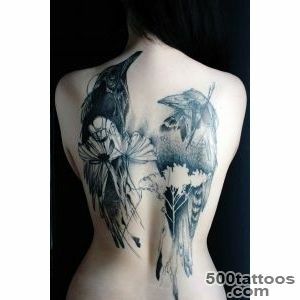 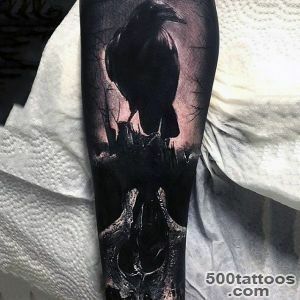 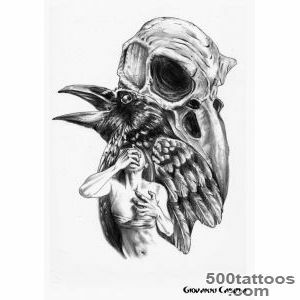 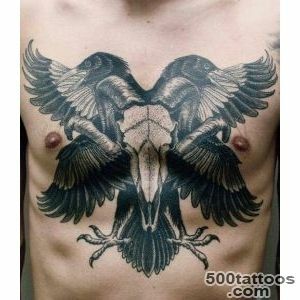 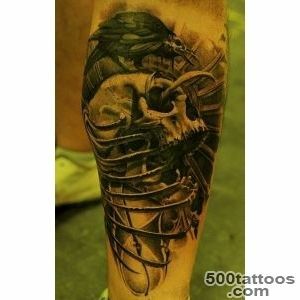 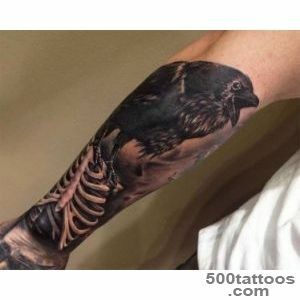 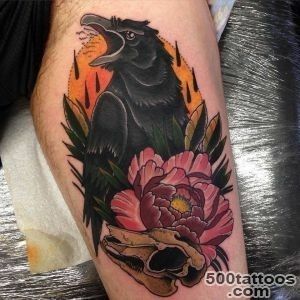 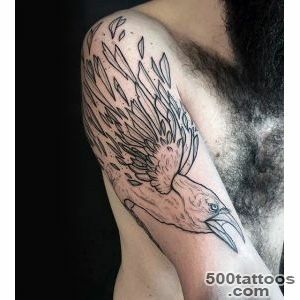 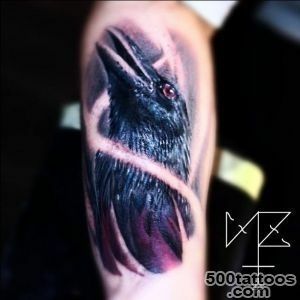 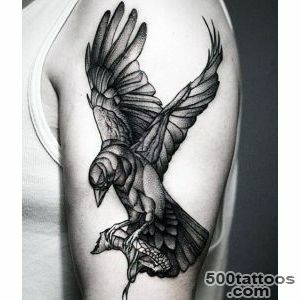 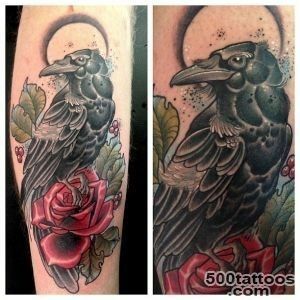 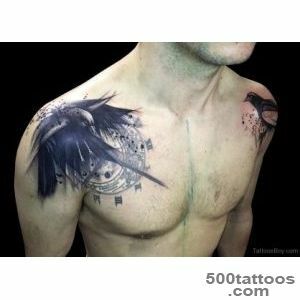 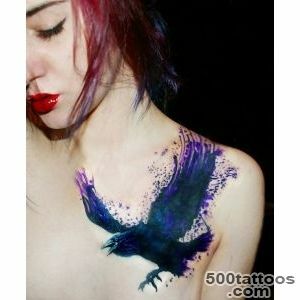 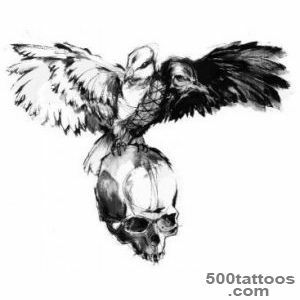 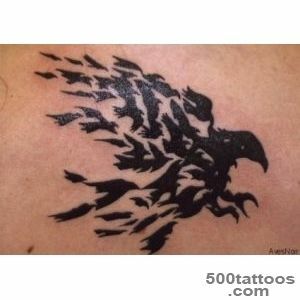 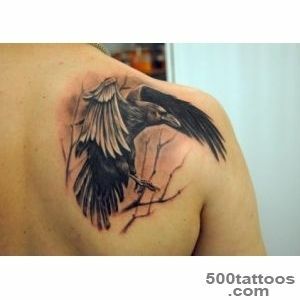 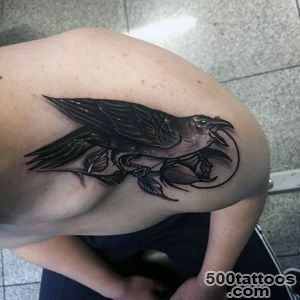 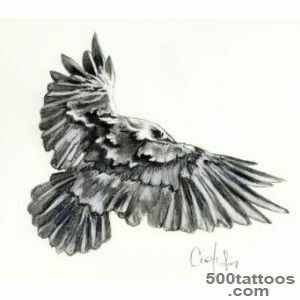 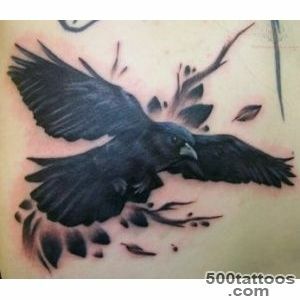 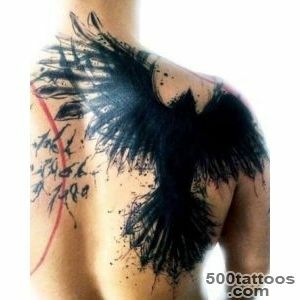 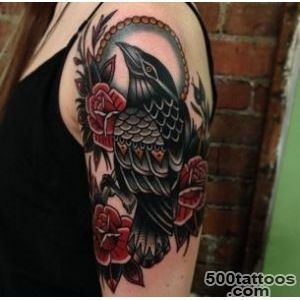 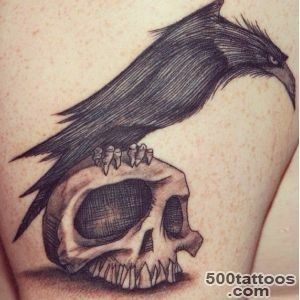 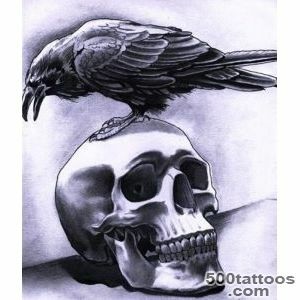 Choosing a tattoo with a raven, it is necessary to carefully consider the composition and interpretation. 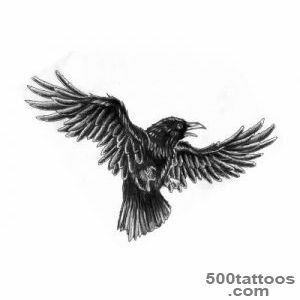 Each sketch element can drastically change the final value.